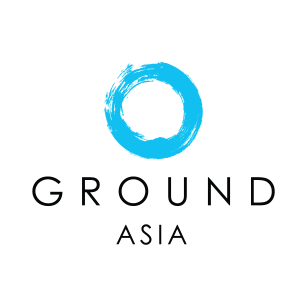 At GROUND Asia, responsible tourism is a fundamental part of our educational programs for students; creating an awareness of the need to share global resources in an efficient, fair and responsible way. So what exactly is responsible tourism? The concept is rooted in the belief that tourism should develop in a direction that minimizes the negative effects on local communities, and ensures that a positive synergy exists between the hosts and visitors. The term is really another way of saying ‘sustainable tourism’, but since sustainability is often overused and not well understood, responsible tourism has been adopted by the industry as an umbrella term to mean any form of tourism that has positive benefits for the environment and all parties concerned. Education is the key to ensuring tourism has a positive effect and at GROUND Asia we work closely with all parties involved to ensure that our programs are designed to limit any negative impacts on the environment, while having real long-term benefits for the communities involved. We are also constantly striving to ensure that students on our programs, as well as suppliers and local communities, are all treated fairly and with respect. We also support and encourage fair employment practices and our programs are designed to ensure that all wild and domestic animals engaged in our projects are protected and well looked after. Through practical experience, research and with the additional knowledge provided by our travel partners, GROUND Asia has developed an extensive network of partners and built strong relationships with the destinations and communities with which we work – ensuring that all our projects truly benefit the local communities in which we operate. In addition, all our programs are aligned with the UN’s Global Sustainable Development Goals, thus ensuring that we provide ongoing support and assistance to the communities with which we work – listening to their needs first and foremost, and ensuring that students who take part in our projects continue to play a participating role in years to come. It is important to remember that responsible tourism is not a product, but an integrated approach, involving many stakeholders in any destination or place which attracts tourists. It should also be remembered that each of us can play a role in ensuring that responsible tourism practices are followed, especially when we travel to other places and cultures. By taking a responsible, pro-active approach – whether its refusing to use a product that exploits animals, or opting to use a refillable water bottle to reduce plastic waste – we can all play a part in promoting the use of responsible tourism and changing our world for the better. If you’re interested in arranging a responsible travel program for your students, check out our school and university programs and get in touch with us.